Tuesday, January 26, 2016 2:45 pm. Updated 3 March 2016: Tech2020's Snider said it has received interest in acquiring its assets, including AutoXLr8r and key grant contracts. 8 Feb: T2020's board named CFO David Snider to lead the wind-down. 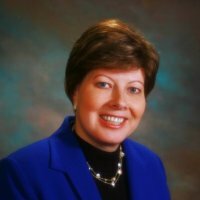 Snider has previously served as the group's Interim CEO. Immediate past CEO Kevin Kragenbrink resigned recently. CapitalMark's EVP David Bradshaw in Oak Ridge is the group's new board chairman.-Ed. 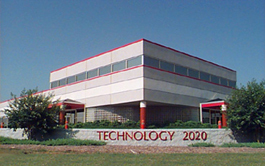 THE BOARD of directors of Tech 2020 voted today to begin winding-down operations after nearly 22 years focused on technology-based economic development (TBED) in the Oak Ridge-Knoxville area. The group attributed the move mainly to excess competition among organizations in the region's entrepreneurial ecosystem, but also noted recent years' economic challenges. Tech2020 Chair Teri Brahams made the announcement of the full board's decision in a press release today, following unanimous approval by the group's executive commmittee. Tech2020 said it will attempt to help move programs and its staff to other organizations. VTC understands it has about a half-dozen staff. A source close to the action said the boards aims to evoke interest from one or more organizations by announcing the Tech2020 wind-down prior to depleting cash and equivalents, in hope of finding one or more homes for its staff, its brand, its office building, and its current responsibilities under several grants. The AutoXLr8r, an accelerator for Auto-sector startups, which was acquired from Southern Middle Tennessee Entrepreneur Centers (SMTEC) in Tullahoma, is also available. The source said that while handling the timely, but unpleasant duty of winding-down Tech2020, the board has also celebrated the nonprofit's achievements, including creation of a spinout now known as Pathway Lending, located in Nashville; its early administration of Tennessee Technology Development Corporation, TTDC and other achievements. In some ways, today's announcement represented 'the other shoe dropping'. The announcement comes at a time of broad rethinking across the TBED and accelerator domains regionally and nationally regarding the proper role and models of related venture development, education, incubation, acceleration and financing initiatives. Venture Tennessee has chronicled Tech2020's efforts to find an ongoing, non-redundant value-added role in the East Tennessee ecosystem for a year or more. The creation of the Knoxville Entrepreneur Center, Innovation Valley and other initiatives in the region in recent years were doubtless influential factors. Those earlier VTC reports are here. Related coverage on VNC is here. This story will be updated as warranted with news of other groups picking-up any residual Tech2020 responsibilities, people and programs. Commenting on the difficult decision, Brahams said, in part, "We were the only organization focused on entrepreneurial support when we were established, but the landscape has changed dramatically since then. We believe the region can best be served with fewer entities competing for limited financial resources." The wind-down is led by the group's executive committee and might be completed in under 90 days, though no firm schedule for completion was announced. "...Tech 2020 was established in 1994 in Oak Ridge with significant grants from BellSouth, now part of the AT&T enterprise, and others. The organization's initial focus areas were telecommunications and entrepreneurship, and one of its early creations was Digital Crossing Networks, LLC, located in Downtown Knoxville. "When the University of Tennessee (UT) and Battelle Memorial Institute partnered to bid on the management contract for Oak Ridge National Laboratory, Tech 2020 conceived a new subsidiary called the Center for Entrepreneurial Growth (CEG). The latter's mission was clearly focused on helping ORNL and UT commercialize more of their inventions by helping local entrepreneurs. "Later, when then Governor Don Sundquist established the Tennessee Technology Development Corporation, Tech 2020 served for several years as the administrative arm of the organization that does business today as Launch Tennessee. "The CEG program was also expanded through contracts in Chattanooga, Western North Carolina, and Southeastern Kentucky. "Over the past few years, Tech 2020 has faced increasing financial pressures. Part of the reason can clearly be attributed to the economic times. Another factor has been the emergence of a more robust local entrepreneurial ecosystem. "All of these developments have been good for the region, but they have impacted the roles that Tech 2020 has historically played," Brahams said.